By Megan Graham . Published on September 21, 2018. In honor of the ceiling at the MTA station falling this morning and rendering all of our New York commutes miserable, I'm pleased today to present some not-terrible train news. 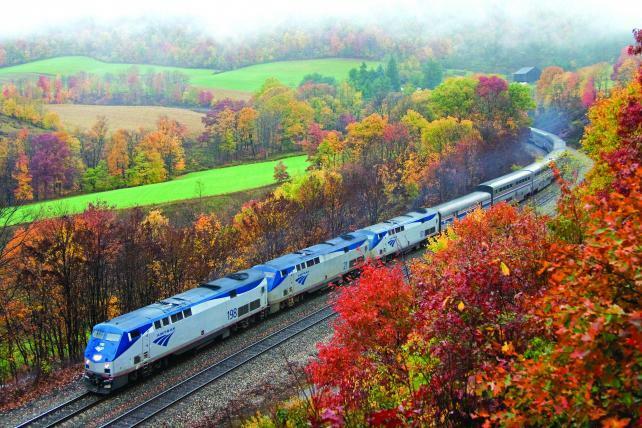 Amtrak has selected a group of WPP agencies as its new agency of record, Y&R North America said Friday. The Amtrak Partnership—led by Y&R with digital shop Wunderman, media agency MediaCom and integrated communications agency Culture One World—will "revamp marketing communications for Amtrak's Northeast corridor and long-distance service" leading up to Amtrak's 50th anniversary in 2021, according to an announcement. The work will also build up to the introduction of new Acela trains in 2021. Amtrak spent an estimated $6.6 million in measured media in 2017, according to Kantar Media. It's post-5:30 p.m. and if you couldn't tell, I need a drink. So read on for this week's agency news and I'll see you next week. Maybe even with an Advertising Week poem. 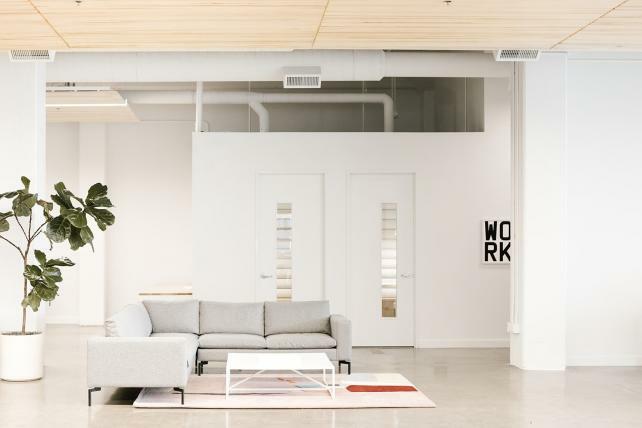 Work & Co this week officially passed 250 employees, and has opened a new Portland, Oregon office in an 80-year-old industrial building in Chinatown. The office is open to the tech and design communities — there's a space visible outside the building to be used as a rotating exhibit for local artists. The spot will also host events, including the shop's Q&A series with entrepreneurs and leaders from different fields. The Portland team works on clients like Apple and Lyft. Erich & Kallman is out with new work on two General Mills cereals, Lucky Charms and Reese's Puffs. The Lucky Charms ad emphasizes this year's introduction of unicorn marshmallows. The ad thought may not be so appetizing to parents: In it, a unicorn character sneezes on the kids, who are then covered in glitter. Just this week, General Mills said its U.S. cereal market share rose in the latest quarter aided by "marshmallow news" on Lucky Charms. Agency Joan worked on Lucky Charms last year, but don't call this an agency switch. General Mills works with several agencies and calls the new Lucky Charms spot from Erich & Kallman a project. As for Reese's Puffs, its most recent ads ran in early 2017 and were created internally by the cereal marketer. Erich & Kallman has worked on other General Mills brands including Fruit by the Foot and GoGurt. Social-led creative agency We are Social is opening a new office in Madrid, the shop's 12th office, led by managing director Alberto Pachano. The move follows We Are Social's purchase of a majority stake in Socialize, the Middle East's largest indie social media agency. 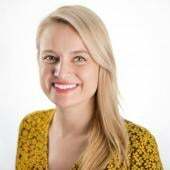 GroupM-owned media agency Wavemaker has hired Kristie Painting as CEO of Wavemaker Canada, taking over for Ann Stewart. Painting was previously at Bell Media as VP of digital sales and platforms, and revenue management. Mike Wente has been named the new chief creative officer for Swirl McGarryBowen. He joins from VML, where he was co-chief creative officer for North America. Matt O'Rourke has joined 22squared as chief creative officer. He was formerly an executive creative director at Grey New York, where he oversaw creative on the Volvo brand. Martina Suess, former Wunderman VP of global corporate communications, has joined iCrossing as its global head of marketing and communications.